Sponsors are usually the people who make "it" happen. 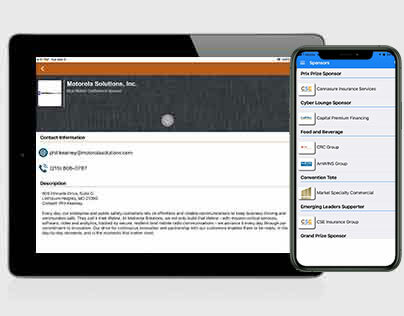 List your sponsors and display their sponsor name, type, logo, website link, and description quickly and easily. Categorize the sponsors as Gold, Silver, Platinum, etc. or even choose your own category names. 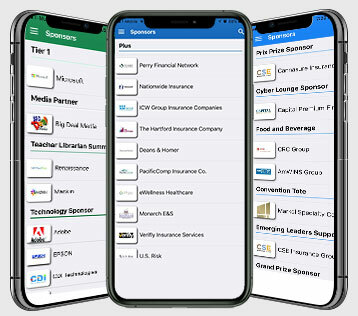 Choose which sponsors are to appear before others by specifying a custom display order within the event app. Add banner ad images within your event apps which rotate on top of the screen. Choose which web links these ads link to when clicked on. Change the web links and ad images on a real time basis from the content management system at any time.